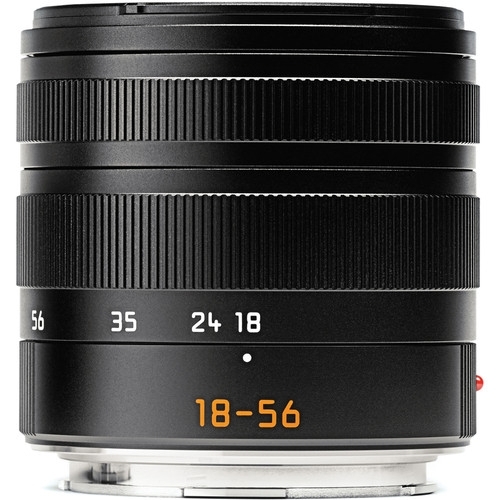 The Vario-Elmar-T 18-56/f 3.5-5.6 ASPH is a versatile lens which allows the photographer to shoot expansive landscapes, documentary pictures, portraits and explore other creative opportunities even in unfavorable light conditions. 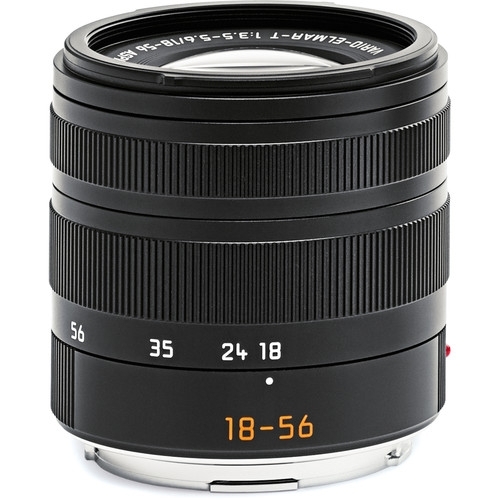 With a 28-56 mm equivalent, it provides fast and quiet autofocus. This lens allows a photographer to explore and experiment with his photographic skills. Dimensions Length to bayonet mount: Approx. 2.35"/3.9" - 60/99 mm (without/with lens hood). Largest diameter: Approx. 2.48"/2.85" - 63/73 mm (without / with lens hood). Weight Approx. 9 oz / 10.1 oz - 256 / 287 g (without / with lens hood).